What do you love about XUK Camps? We couldn’t agree more! Who wouldn’t want to make friends from all around the world? We can learn so much from one another about culture, languages and religion. 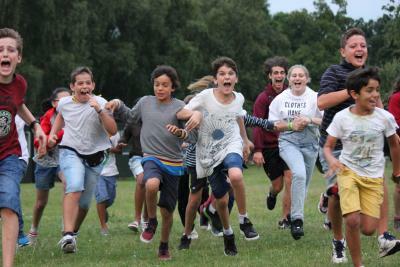 Rumour has it that camp friends are the best friends – too right they are! It makes us beam from ear to ear when we hear about XUK campers or staff meeting up around the world. You might go months or even years without seeing each other in person, but camp friendships are so strong, you pick up from exactly where you left off. There’s no place like home and there’s also no place like XUK. Lots of us do see XUK as our second home and it’s a significant part of our lives, just not a few weeks in the summer. Our environment was described as "super friendly and it welcomes everyone". We struggle to put it into words, but for us it’s safe, friendly and cosy but bursting with fun and enthusiasm at the same time. XUK Camps are a place to enjoy the great outdoors, disconnect from the real world and to let your hair down, enjoying being young! We like to do a few little extra things around camp to build even further on the atmosphere. We love to have music playing at meal times with a bit of dancing! And while we are on the subject of music, you all said you loveeeee the Saturday night disco! It happens every week and is the perfect round up and way to celebrate a fabulous seven days. There are lots of other things you love about our camps from our action packed activities to fun and engaging English lessons. Snapback Friday got it’s very own special mention and so did "making it acceptable to wear so much yellow (my favourite colour)." We will try not to change our t-shirt colour at XUK English and XUK Excel anytime soon! We are about twenty days away from going down to double figures on the countdown to XUK 2018. 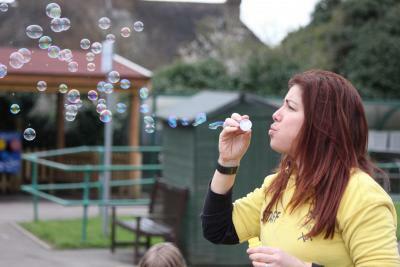 It’s going be another brilliant summer with a new venue for XUK Activity, new activities at all of our camps and some new staff members bringing in fresh ideas!